The year 2018 has just begun but the developers of Overwatch, Blizzard Entertainment is already ready to release new content to keep players engaged in their highly competitive environment. 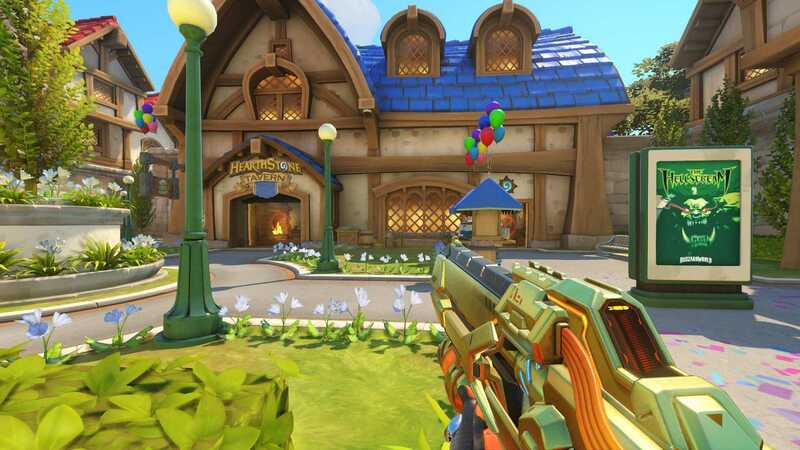 In an official statement, the development team behind the hugely successful franchise has confirmed that Blizzard World, an open world map for Overwatch which was announced during BlizzCon 2017 will be made available this month. The map will be rolled out to players on PC, PS4 and Xbox One consoles. It is available in the PTR for PC gamers for a while now as they were supposed to beta test various aspects of the map before it finds its way to the official build. 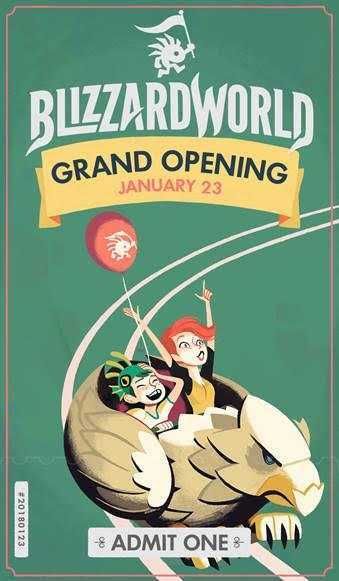 Blizzard World which is inspired by a theme park styled setup will be available to everyone on January 23rd, confirmed the team. The team has gone a notch higher to make things quirky by distributing tickets for the theme park in their official Twitter channel. While all players can actually download the map for free as soon as it gets launched, if you want to feel like you are going to enjoy going to an amusement park, you can choose to grab those tickets. A great thing about this new map is that it not only belongs to the characters and the world found in Overwatch but also has various additions inspired by popular Blizzard properties like Warcraft and Starcraft. Game director Jeff Kaplan after the date was announced confirmed that the entire team is ready to surprise players with lots of new additions including new characters, lootboxes, costumes and more events are on the way to Overwatch in 2018. The Winter festival and other celebrations are over by now. But, that’s not all because with the Chinese New Year just around the corner set to take place on February 16th will have a special event. All your favorite heroes in the game will get to dress up in their favorite Chinese costumes, dragons and there will be special lootboxes, loot crates among other stuff to be opened up within a month’s time. Overwatch League also marks the game’s official entry into the eSports league bringing it on par with Dota 2, League of Legends and Counter Strike Global Offensive. Considering how popular and difficult the game is, it wouldn’t be surprising if it becomes a popular esports title in the following years with some star players emerging out of the lot.